At Bradshaw Family Dental, we use digital x-rays, which have several advantages over traditional film based x-rays. 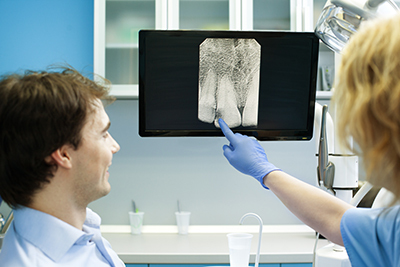 Digital x-rays allow us to take x-rays with 1/5 of the radiation that you would receive from traditional dental x-rays. The worry of exposure to excess radiation is eliminated.